Clément Vautel’s name sometimes wanders into footnotes in perfume history books because of his novel Je suis un affreux bourgeois ((“I’m an awful bourgeois”, 1922), whose main character, the self-styled “Napoleon of perfumery”, is inspired by François Coty. Vautel (1876-1954) was a hugely popular editorialist and novelist with distinctly reactionary leanings and unsavoury prejudices under the guise of satirical writing. Je suis un affreux bourgeois is narrated in the first person by Honoré Paquignon, a self-made-man beset by the woes of the post-WWI West: his daughter is a feminist who goes off to open a garage with like-minded girlfriends, his son is a homosexual avant-garde poet who stages a Surrealist show in his mansion, his mistress a tart who manipulates him into launching her film career while cheating on him left and right, and his factory workers are Communists led by his ex-secretary, who publishes pamphlets calling for his execution on the Great Evening of the revolution. In this, Coty, who financed extreme-right-wing newspapers and movements, and penned his own Against Communism in 1928, is indeed the model for Vautel’s “hero” who backs a private militia to defend the interests and properties of capitalists. 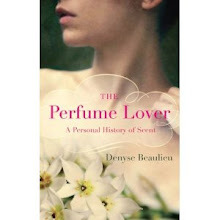 However, readers seeking information into the workings of a perfume and cosmetics company in the 1920s won’t find much in the novel. 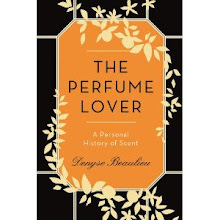 Paquignon dismisses the composition of his best-selling fragrances with “it is the business of my chemists for whom the most poetic of perfumes is nothing but an industrially-produced formula”. 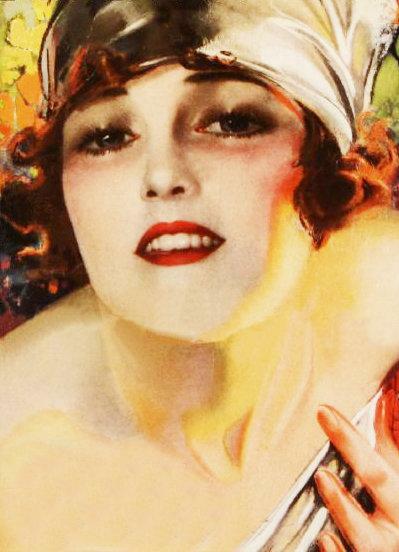 In the perfume appreciation course I’ve conceived for the London College of Fashion, when I consider perfume in the 1920s, I link the vogue for heavy makeup and heady perfumes (think Shalimar) with the shift in gender relations after WWI. Surely, there must have been a shortage of eligible men since many were killed or maimed in the trenches (in France, 27% of the men aged 18 to 27 were slain). Added to this, the new streamlined styles – bobbed hair, short shift dresses baring legs, arms and back – must have left many women who didn’t conform to the sleek flapper ideal bereft. Large flowered hats, long hair, corsets and floor-length dresses went a long way to cover any physical flaws. In compensation, simple 1920s dresses were often very heavily embroidered; this ornamental excess was echoed in vamp-ish makeup and the heady second skin of fragrance… If nothing else, Je suis un affreux bourgeois confirms that this was indeed how things were perceived at the time. Curious readers will easily find it online at low prices. Hi Denyse, I love that quote, but I don't quite get the bit about lipstick an powder. Why would lipstick and powder be in contest? Would it have been because powder had been an acceptable cosmetic for genteel women before the war, but lipstick was not? Whereas now women felt they had the freedom to assert themselves through a bold use of lipstick? And what is the distinction between powder and rice powder? Perhaps the whole distinction between genteel and not-genteel was becoming less important. Annemarie, I may not have translated it properly, or maybe I haven't put in enough context, but lipstick and powder are not opposed here: after WWI, they are the true victors in the narrator's opinion, since they are the symbols in his mind of feminine emancipation. "Powder speaks" is an expression used to say guns are more powerful than words, so he's referring to gunpowder. But you're right, the distinction became less important after WWI, when even genteel women started using heavier makeup, hitherto reserved to tarts and actresses. How interesting! Eligible women far out-numbered available men after the War. One of my favorite little books “by a gentlewoman” is The Technique of the Love Affair (1928) in which Cypria instructs Saccharissa in the wiles required. Cosmetics are recommended. Gunpowder! Silly me! Many thanks. Ariane's quote about men pretending to scorn perfumes is an interesting one. Sill happens today, I reckon. Ariane, that's an excellent quote. Cypria and Sacharissa... priceless. Annemarie, I tried the quote in French on a friend who didn't get the "powder" bit either, so "powder speaks" is clearly not a very common expression nowadays!